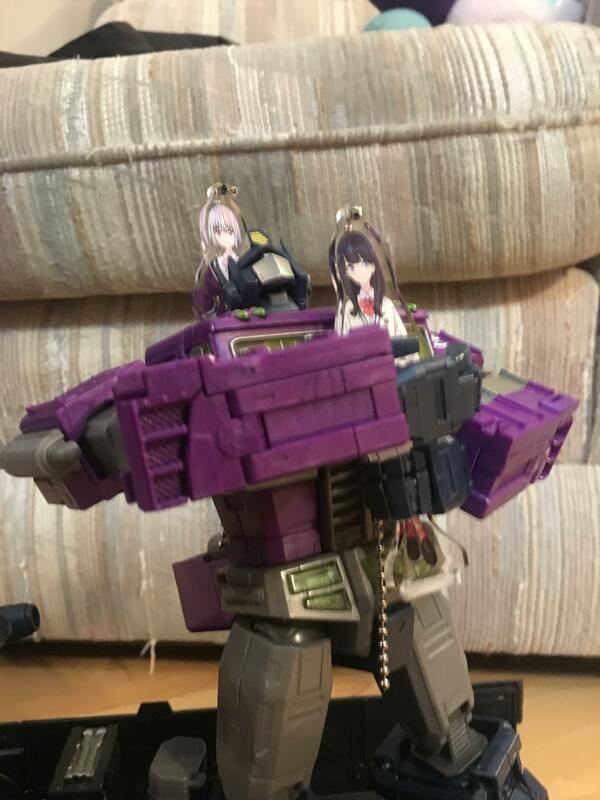 It’s not just Gridman with vehicle partners now! Then BBTS put this Asian market exclusive on a crazy good sale over the holidays and I caved. (There’s something else I got too worth talking about but that’s for a future post). And getting it in hand – it’s pretty nice. 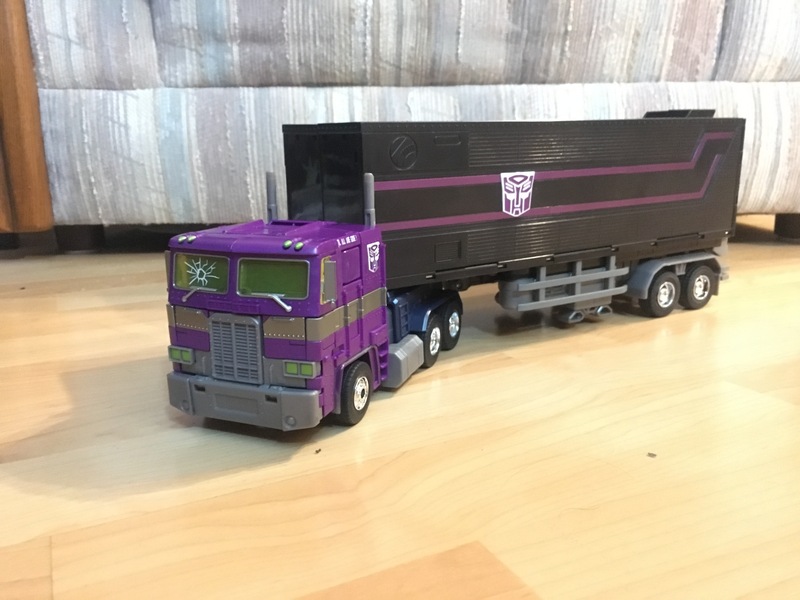 Truck mode is… well, it comes with the trailer! Which is a cool bonus feature. It doesn’t come with a Roller drone, surprisingly (or a Spike), but the main Combat Deck functionality is still all there. The trailer’s pretty sparse on paint but given it’s in black plastic, it doesn’t really need it. Rikka, you’re the only one for her. 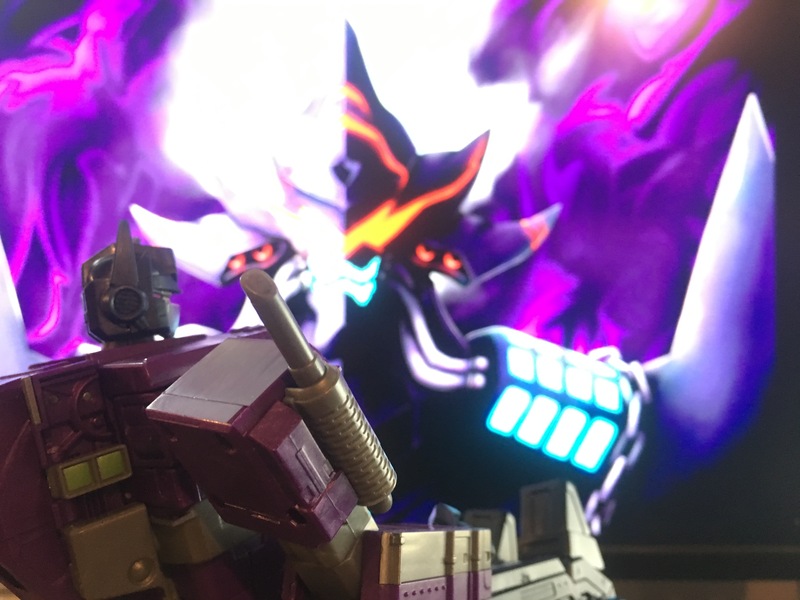 Robot mode, meanwhile…. well, it’s an MP-10. I know MP-44 (Optimus 3.0) is due out really soon, but this is still a mold worth owning due to the fantastic engineering. Really, the biggest noticeable change from the stock MP-10 is the lack of chrome. 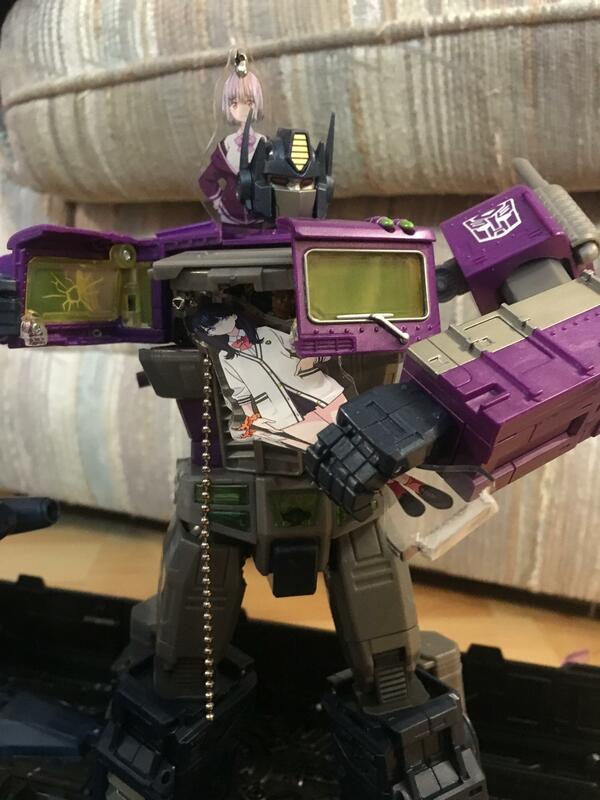 Given this was made at more of a budget that’s a little understandable, BUT unfortunately this leads to a design flaw, because the tolerances for the chest locking into place were all built around the extra thickness the chrome layer provides. This is obviously fixable with some properly applied floor polish, but it’s still a flaw nonetheless. I’m going to love you and hug you and squeeze you and call you George! Also worth noting too is the plastic. 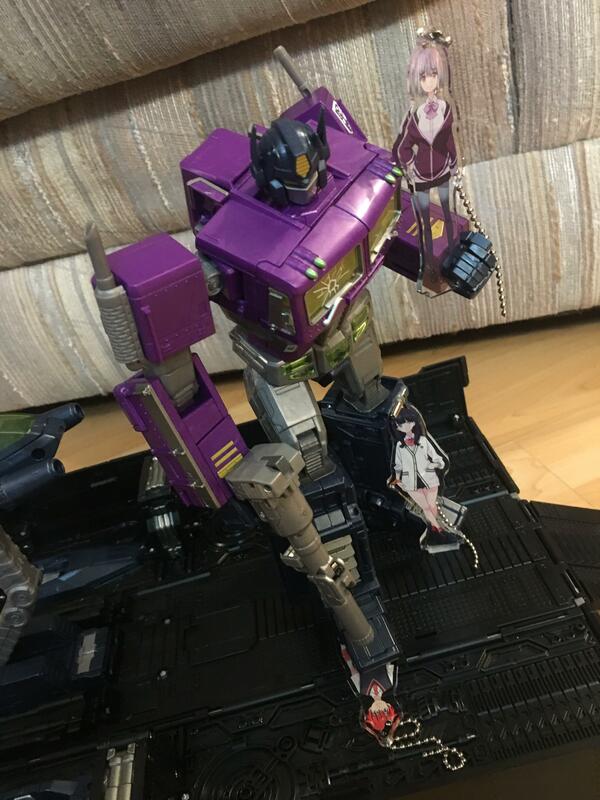 It’s not as uniform as the plastic on the Hasbro Optimus that I have – in fact it’s got some swirls in it here and there. This very much comes across as a release that they wanted to put out for fun and on a budget, given it’s not up to the same standards as a regular Masterpiece release. BUT THAT SAID! It’s still the MP-10 mold. These flaws aside, it’s as poseable as a regular MP-10 is. This is a figure definitely not for everyone. 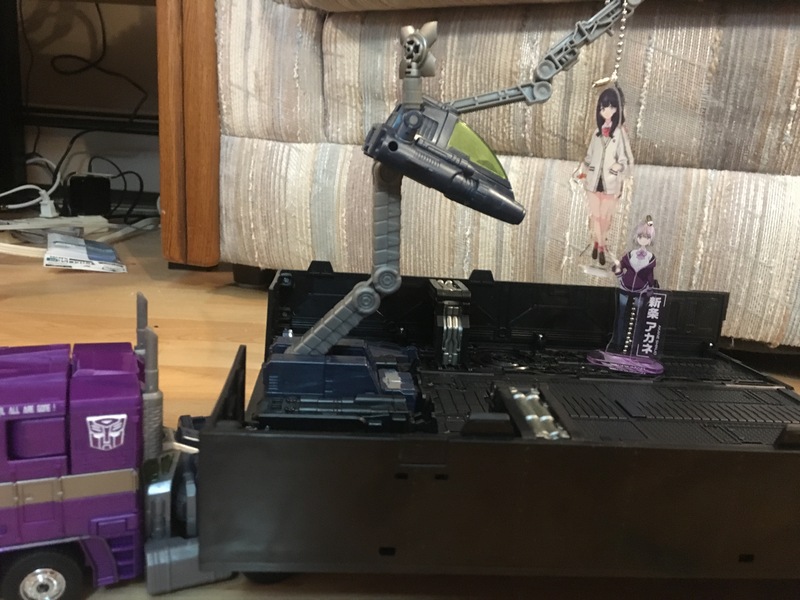 It’s a niche thing, especially given my reasons for wanting this (I can’t help but think of this as Akane Shinjo’s transtector, after all). Wouldn’t pay full price for it, but for a sale it’s worth it. 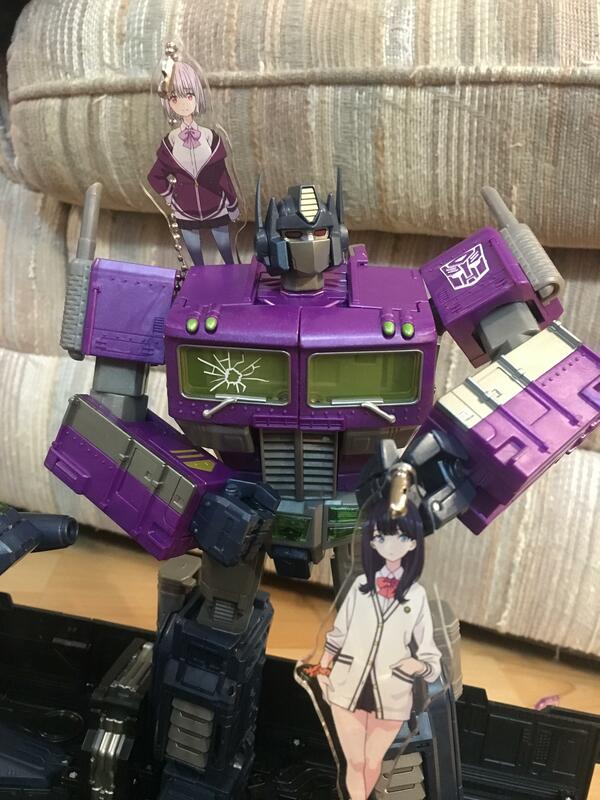 And, more importantly, it’s a way to justify keeping a copy of the MP-10 mold if you want MP-44 or one of the 3P Optimus options coming out this year and don’t want to Optimii in your collection.